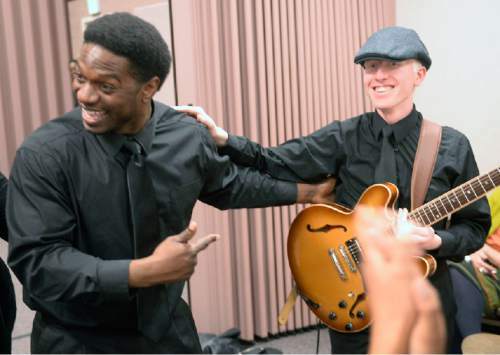 Religion • With funding from LDS Church, multiethnic Genesis singers adopt a new name and a new vision. Al Hartmann | The Salt Lake Tribune LDS Genesis Group Choir rehearses in February. 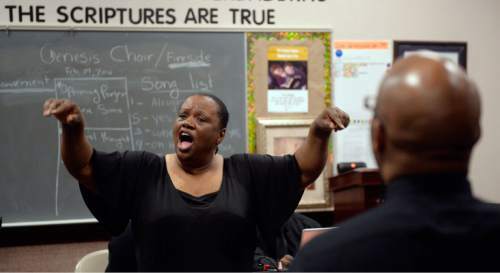 Al Hartmann | The Salt Lake Tribune LDS Genesis Group Choir singer Marj Desuis rehearses for an upcoming Las Vegas performance Sunday Feb. 7. The choir is different from most LDS choirs. They sing gospel and soul music. Al Hartmann | The Salt Lake Tribune LDS Genesis Group Choir rehearse for an upcoming Las Vegas performance Sunday Feb. 7. The choir is different from most LDS choirs. They sing gospel and soul music. Al Hartmann | The Salt Lake Tribune LDS Genesis Group Choir rehearse for an upcoming Las Vegas performance Sunday Feb. 7. The choir is different from most LDS choirs. They sing gospel and soul music. 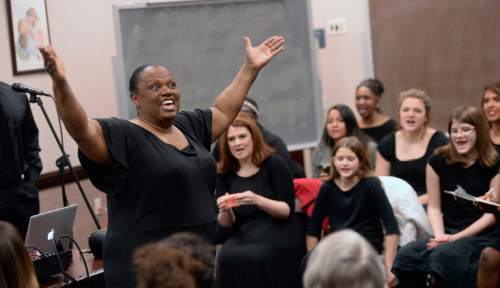 Al Hartmann | The Salt Lake Tribune Director Debra Bonner leads the LDS Genesis Group Choir in a rehearsal for an upcoming Las Vegas performance in February. The choir, which sings gospel and soul music, is different from most LDS choirs. Al Hartmann | The Salt Lake Tribune LDS Genesis Group Choir rehearse for an upcoming Las Vegas performance Sunday Feb. 7. The choir is different from most LDS choirs. They sing gospel and soul music. Al Hartmann | The Salt Lake Tribune Director Debra Bonner leads the LDS Genesis Group Choir in a rehearsal for an upcoming Las Vegas performance Sunday Feb. 7. The choir is different from most LDS choirs. They sing gospel and soul music. Al Hartmann | The Salt Lake Tribune Members of the LDS Genesis Group Choir take in potluck dinner before start of rehearsal for an upcoming Las Vegas performance Sunday Feb. 7. The choir is different from most LDS choirs. They sing gospel and soul music. Al Hartmann | The Salt Lake Tribune LDS Genesis Group Choir rehearse for an upcoming Las Vegas performance Sunday Feb. 7. The choir is different from most LDS choirs. They sing gospel and soul music. Al Hartmann | The Salt Lake Tribune Genesis Group Choir members Yahosh Bonner and Dan Ankeman joke as they rehearse for an upcoming Las Vegas performance Sunday Feb. 7. The choir is different from most LDS choirs. They sing gospel and soul music. Talk about hitting a high note. 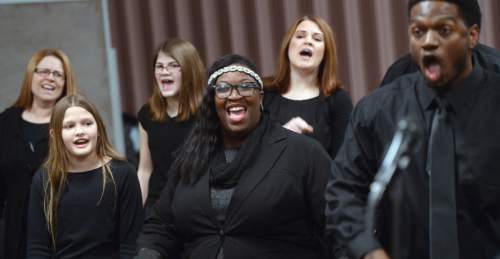 The Genesis Gospel Choir&apos;s joyful noise has become so popular in recent months that the group is taking on a new name, an expanded role and enlarged expectations. 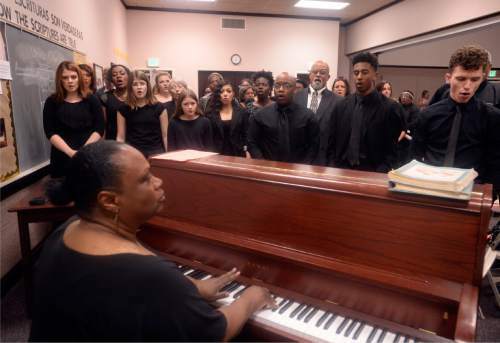 The swaying, clapping, mostly black LDS singers came together as the Genesis Group, a support organization created in 1971 for African-American Mormons and their families. Even after 1978, when the Utah-based faith ended its ban on black boys and men being ordained to the all-male priesthood and on black women entering LDS temples, Genesis served as a spiritual haven for many Utahns seeking a diverse experience, especially through music. Last year, the choir became more polished and professional with the appointment of director Debra Bonner, an expert voice coach and award-winning musician. 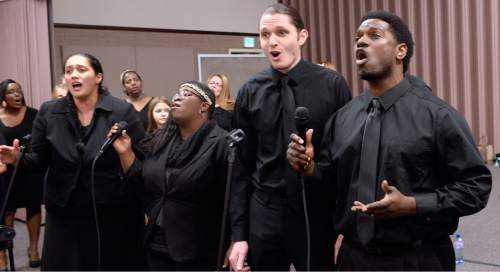 As news spread of a multiethnic Mormon choir that crooned gospel tunes, invitations to perform poured in from many quarters. So Bonner and the other organizers faced a tough decision: Continue to be associated with an LDS congregation and perform in a limited sphere or become an independent nonprofit and travel more widely. They chose the latter, renaming their group One Voice International and receiving a "generous" check  the exact amount isn&apos;t being disclosed  from The Church of Jesus Christ of Latter-day Saints to help launch it. "Much like a seedling that is first grown in a little paper cup on a windowsill and then grows into a mighty tree," Eddie Gist, first counselor in the Genesis Branch leadership, said in a statement from the three-man presidency read April 3 to the congregation. "It is a miracle to see how the Genesis Group has nourished the tiny seedling of the Genesis Gospel Choir and that it is now ready to become a great tree." It was a day "of rejoicing," they wrote. "We rejoice in this day. In a sense, it is a day of graduation and going out into the world." Now Bonner, the new nonprofit&apos;s president, has soaring ambitions for One Voice. 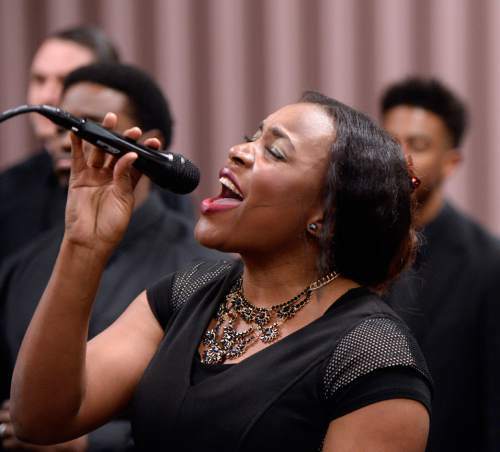 She plans to take her singers to many LDS venues  they&apos;ve already been invited to perform at Brigham Young University&apos;s Women&apos;s Conference later this month  inside and outside the country. Changing the name to a more neutral term also means they can join with gospel choirs from other Christian churches, Bonner said, some of which may believe that Mormons practice a foreign, even heretical, faith. "They will see we have the same message. We love the savior, who he is, and his atoning sacrifice," the musician said. "They will know we are Christians, and they will be able to resonate with us  through the music." Being a registered nonprofit, she added, means the group can accept donations. It also can produce and sell CDs of its music, which can help finance the choir&apos;s travel. On top of all that, Bonner hopes to establish a program to teach inspirational pop and gospel music to young people, building several youth choirs into A Thousand Voices Youth Choir. "We will be teaching leadership and empowerment," Bonner said, noting the group already has been tapped to lead a workshop in May at Lone Peak High School in Highland. The director is starting a similar effort in her hometown of Flint, Mich., a city that has been devastated by the economic downturn, job losses, crime and, most recently, lead in its water. "I have met so many young people who were suicidal or cutting or have endured bullying with low self-esteem, traumatized," she said. "Then, through training their voices, they&apos;ve been healed. ... It clears the obstructions in their soul." To change the mindset of young people, the choir director explained, "we have to go where they are. And they listen to pop music, which is really gospel music. On &apos;The Voice&apos; and &apos;American Idol,&apos; those are white kids and they are singing like black people." In general, Mormons  with their "old European music"  are "way behind," Bonner said. " "But young Latter-day Saints are not. ... They listen to pop music." The LDS Church cannot afford to be a step behind, said the Mormon convert of 35 years. 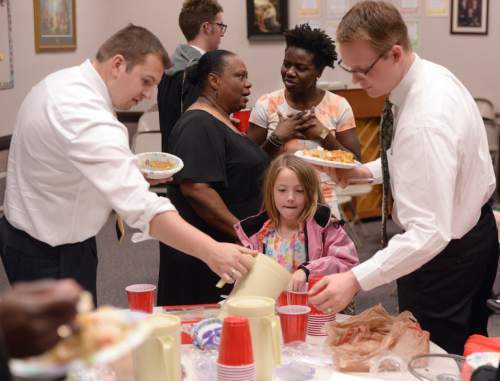 "To bring souls unto Christ, we have to go where the people, music and culture are."